It’s very clear that Nick Clegg doesn’t watch “The Thick of It”; in the last episode, the hapless (presumably Tory) minister Peter Mannion (played with expert grumpiness by Roger Allam) is rushed back from a vacuous, cliché laden retreat to address a crisis. En route, he’s offered a selection of ties: he rejects a rainbow one, as it’s too flashy for the occasion, he then is offered a black tie, which he regards as too funereal. In the end, he prefers no tie to the wrong one. Clegg obviously missed this: on this morning’s Andrew Marr programme, he was wearing very dark tie indeed. With the impenetrable grey skies over the Brighton conference unhelpfully lingering in the background, he had the mien of an undertaker who was trying to persuade the family of the deceased that their departed one had merely undergone a “life change”. However, this is a minor faux pas in comparison to others in recent memory: his current crusade for fairer tax doesn’t make use of the Government’s ePetitions website, and thus is likely to be less effective in spurring a parliamentary debate. His “apology video”, rather than drawing a line underneath past mistakes, has been turned into a hit single thanks to some clever sound and visual manipulation. As Clegg retreats to his Brighton hotel room in the evenings, he perhaps collapses spreadeagled on the bed for a moment, stares at the ceiling and wonders how he can make things better rather than worse. He may also wonder why it is that Dame Fortune, who seemed to walk hand in hand with him through much of 2010, doesn’t seem to return his calls any longer. Enoch Powell, in a rare moment of lucidity, once said that “all political lives, unless they are cut off in midstream at a happy juncture, end in failure”. There is so much calamity, perhaps Clegg can see the demise of his career in the middle distance beyond which lay the sheltered isle of Brussels or directorships with large firms and a modest book deal. But at least, the Liberal Democrats will go on; it is commonplace to pronounce the party dead, but at the party’s core lay the Liberal ideal. The concepts of individual liberty, equality before the law, and care for the disadvantaged, no matter how tarnished by compromise and coalition, still have life in them. So long as these ideals are not dead, then the party will have life. I suggest, however, that the party’s existence in its present form depends on pulling into a tighter orbit around these ideals. The more that it is yanked away by the gravitational pull of power and convenience, the more it will suffer. But at least there are grounds for hope. The same is not true for the Tories. 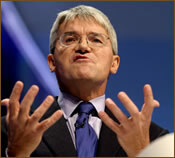 They should be more concerned about the Andrew Mitchell episode than they appear to be. We’ve always had an idea of who they are, and it’s been commonplace to suggest that they were a party that had ice water in its veins, but now we can also see that its combined heritage has created something of a monster. There are two distinct strands in the Conservative Party. There were always the aristocrats like Harold Macmillan and Anthony Eden; while they were privileged and attended the best schools, at least they had a sense of public duty and a healthy respect for the working man. Edward Heath can also be said to be of this particular school, despite his modest background: when he invited union leaders like Jack Jones and Vic Feather to Downing Street for talks, it was not beyond him to play “The Red Flag” on the piano at their request. The other strand is comprised of Thatcherites: not so well born, e.g., Mrs. Thatcher was the daughter of a Lincolnshire grocer, they saw the Conservative Party as a means to removing regulation and freeing the market so they could indulge every impulse of commerce and avarice. These two strands have waged war for decades: the Thatcherites regard the aristocrats as coddled and anti-capitalist, the aristocrats regard the Thatcherites as upstarts who lack a sense of duty and dangerous to social peace. Cameron and his acolytes represent a fusion of the two factions: yes, there is a place for the privileged, they are born to rule. And as the elite, they have no duties, only the right to indulge whatever appetites they have without restraint. This “ideology” is masked by spin and rhetoric, it gets buried in the annals of Iain Duncan Smith’s “Foundation for Social Justice”, it is whitewashed with talk about a Big Society. But the plaster cracks, the rot underneath makes its appearance. Jeremy Richard Streynsham Hunt, Head Boy of Charterhouse School, gets too close to Rupert Murdoch and News International, and yet was trusted to handle the BSkyB affair. Regret flows due to the opprobrium of the non-Murdoch media and public pressure; yet despite being tarnished, he is now Health Secretary, though it has been revealed that he supported Virgin in its £650 million bid to take over NHS health facilities in his Surrey constituency. What can excuse such collusion or at least, such poor judgement? Why would Cameron take such risks? Well, Jeremy Richard Streynsham Hunt, Head Boy of Charterhouse School is the “right sort of chap” and so he should be able to indulge his penchant for coddling billionaires. It is an abuse of politics in favour of business that is so naked it almost makes Cameron’s lot seem like a tribute band to the Thatcherites rather than anything original: the tunes they play are out of date and mangled by the lesser musicians carrying the tune. Their mask perhaps slipped in the most dramatic fashion when Andrew Mitchell, the Chief Whip, made his unguarded remarks to the police assigned to protect 10 Downing Street. Let’s put his complete loss of composure into context: he was merely told he couldn’t use a particular gate by which to exit on his bicycle. His temper taking flight might be more excusable had his bike been damaged or stolen while the police were there to watch after it; but in his case, he merely was told to use a different exit. His inexplicable response was a foul mouthed rant, during which he apparently accused the police of being “plebs” who should “know their place”. Was this the id of the modern Conservative Party speaking? Let’s assume that Mitchell’s voice extends out of the darker places in its psyche at the very least: note the snobbery, the presumption, the aristocratic privilege accompanied by none of its manners. Macmillan and Eden would be horrified; they understood that with great privilege came heightened responsibility. Not so for those who adhere to the Cameronite synthesis of privilege and avarice: this is mine, how dare you intrude, and I don’t owe you a thing. No doubt we will see attempts to re-mask these base impulses at the impending Tory Party conference. I suggest that clichéd and vacuous slogans will be deployed, a la “The Thick of It” until the audience is too bored or nauseated to continue watching. Nevertheless, once the mask has come off, it’s very difficult to put it on again. The Liberal idea may currently be suffering because many Liberal politicians are less than effective avatars for it. The modern Conservative idea gags and gasps when it is exposed for what it is. Perhaps Mr. Clegg, whose troubled tenure should rightly earn him the monicker of “Calamity Clegg”, knows this far better than most. So as he retreats to his Brighton hotel room at night after the speaking and speechifying is done, and he lay staring at the ceiling with his empty red box on his dresser and his shoes on the floor, he can console himself that at least, despite everything, he isn’t a Tory.